Halloween is an awesome time for families to dress up like their favorite superheroes and explore their neighborhoods together, searching for candy. However, candy contains a lot of sugar and is really unhealthy for teeth. But, among the bad candy, a few Halloween classic candies stand out as truly bad for teeth. How can a candy named “Circus Peanuts” contain zero actual nuts? Regardless of the lack of nuts, Circus Peanuts are a marshmallow candy that is made almost entirely of sugar. It comes in a bright orange shaped peanut, and is textured like a marshmallow. Circus Peanuts are a sticky candy, and that’s terrible news for teeth. Sticky candy is difficult to remove from teeth, and gives bad bacteria more time to eat away tooth enamel and cause cavities. This spicy Halloween favorite is a staple in many candy bowls nationwide, but Atomic Fireballs can harm teeth. Atomic Fireballs are basically spicy jawbreakers, which is a very hard candy. Hard candy comes in nearly every flavor and size imaginable, but chewing hard candy can lead to a cracked tooth. Hard candy also tends to stick around longer than other candy, which exposes teeth to sugar for longer. Extended contact with sugar can lead to more cavities because sugar provides bad bacteria with the energy it needs to destroy enamel. This may be a bummer for a lot of Halloween fans, but Candy Corn is actually awful for teeth, and it’s largely due to one ingredient: confectioner’s wax, which is basically waxy sugar. The waxy consistency of confectioners wax makes it difficult for saliva to break down, and also causes it to stick to teeth. As specified above, sugar that sticks to teeth gives cavities the nutrition they need to thrive and worsen. Do your best to limit the amount of candy your child has per day, and be sure that they rinse their mouth out with water, or brush and floss after eating candy to thoroughly remove any sugar or candy particles left behind on their teeth. If your child begins experiencing tooth pain this Halloween, then schedule an appointment with our office. Have a happy and safe Halloween, and don’t forget to brush! Baby teeth play an important role in helping children develop healthy smiles that grow with them. Here’s five important facts about baby teeth that parents need to know to help their children keep their baby teeth healthy and strong. Tooth enamel is the hardest substance in the human body, yet it is always under constant attack by sugar, acid and external forces. You can help keep your child’s tooth enamel strong by giving them more water, which helps rinse teeth clean of harmful bacteria and acids. Additionally, limit sugar and sugary beverages in their diet to help give their enamel a break. Make sure to brush twice a day for two minutes and floss at least once a day. Baby teeth play a critical role in developing a healthy and aligned adolescent and adult bite. 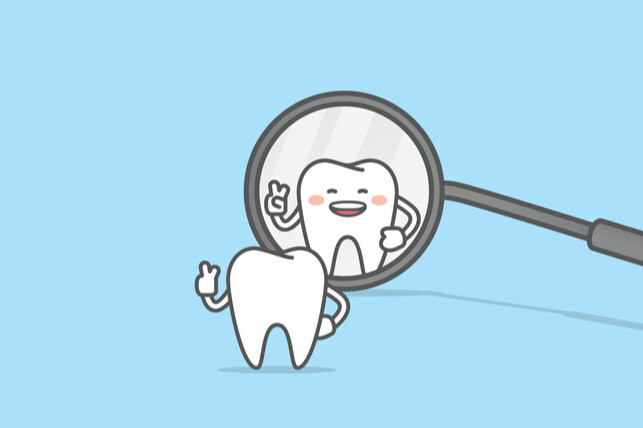 If a baby tooth is lost too soon, it can lead to teeth crowding the vacant spot, which can cause bite alignment problems. The proper diet can go a long way in helping your child maintain a health smile. When shopping for food, try to add more fruits and vegetables that are rich in nutrients and fiber. High fiber foods scrub teeth and keep them clean of food debris and damaging sugar, which can lead to tooth decay and cavities. Adding more magnesium and calcium to your child’s diet can strengthen their tooth enamel, and help prevent cavities. Usually, natural tooth loss begins around age 6, and concludes around age 12. If your child loses a tooth before then, schedule a visit with our office so that we can take the appropriate actions for the health of their smile. Does Your Family have a Dental Home? The American Academy of Pediatric Dentistry recommends that you establish a dental home for your children by their first birthday. This helps you get a dental health plan that works for their smile, and helps them get more comfortable with oral healthcare at an early age.